The Girl loves to play "pretend". 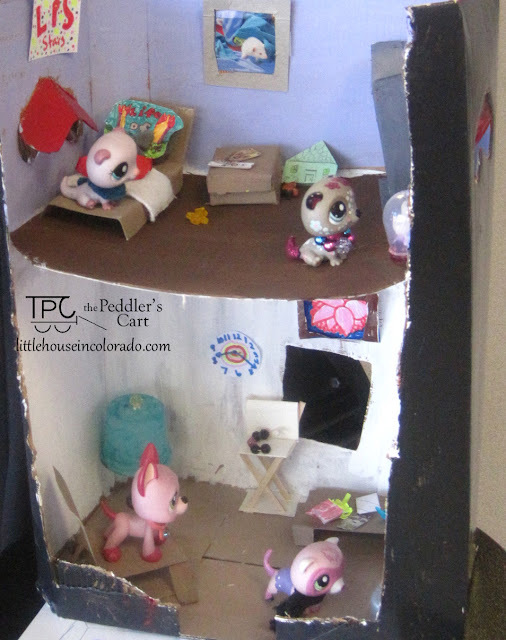 She has piles of Littlest Pet Shop toys and has built cardboard houses and fashioned paper accessories for them. She has even molded her own "pets" out of Sculpey clay. She is eleven years old now, but she has been doing this for years. When she was about three years old, she played mostly with Little People toys. She could occupy herself for hours with those Little People and their animals. In fact, I think the Little People animals may have talked to each other more than the people did. 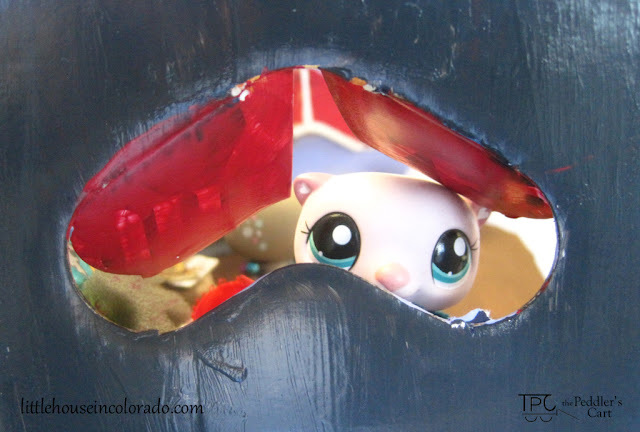 Perhaps this love of "pretend play" is universal with all children, or perhaps some children enjoy it so much more than others. 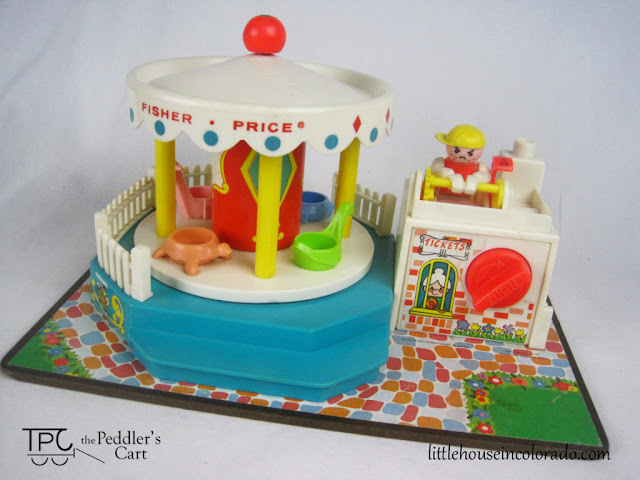 I myself loved to play with Little People as a girl (and Weeble people, too). The Little People of my day were much more basic than the modern versions but they still sparked the imagination. 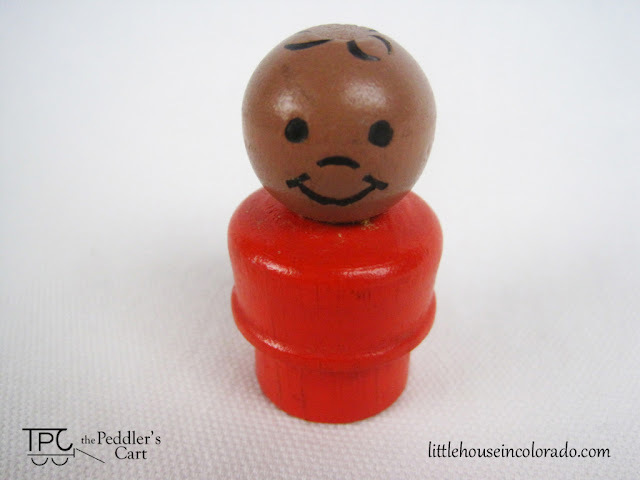 You can find these Fisher Price Little People toys, as well as other vintage toys in our Etsy shop. UPDATE: The Little People toys shown here have sold.